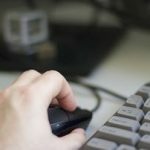 I was completing a Master’s Degree while working full time at a new job, and began to suffer from Repetitive Strain Injury. I was experiencing constant pain which began in my right wrist but over the course of 3-4 weeks it spread to both wrists and my right forearm. As using a computer was essential for both work and study and as my Master’s deadline was only weeks away, this was a huge problem. I tried exercises prescribed by a physiotherapist and bought expensive ergonomic equipment, which provided temporary relief, but the problem showed no real improvement, and I began to find it debilitating at work. Seeing Carmel helped me identify the anxieties and stress I was experiencing, and within days of taking the remedy she prescribed I was 80% better. After a week, all of my symptoms had virtually disappeared. This made a huge difference to me, as I was able to continue working and complete my degree in time.